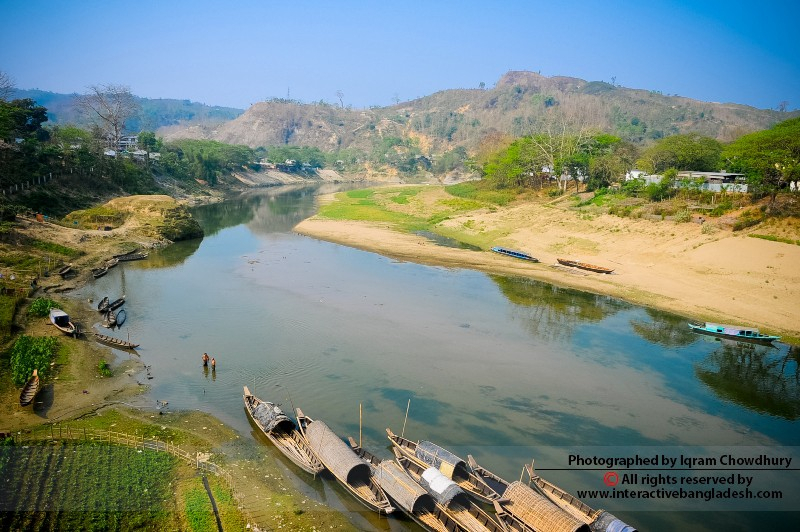 Bandarban, locally & popularly known as “Daughter of Hill” is the most remote place in Bangladesh with least population and for the very obvious reason of this, it is a highly dense hilly area where the three highest peaks of Bangladesh is located. 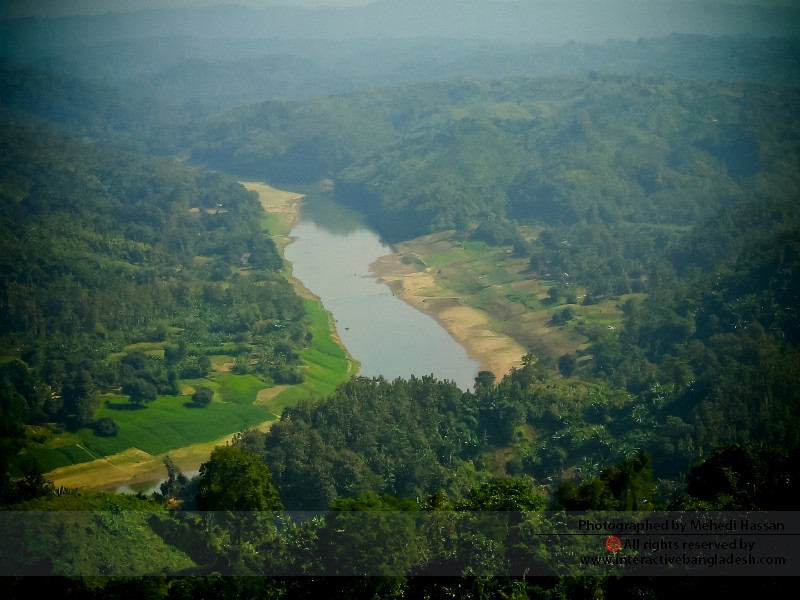 The English meaning of this place “Bandarban” is “The dam of Monkeys”. 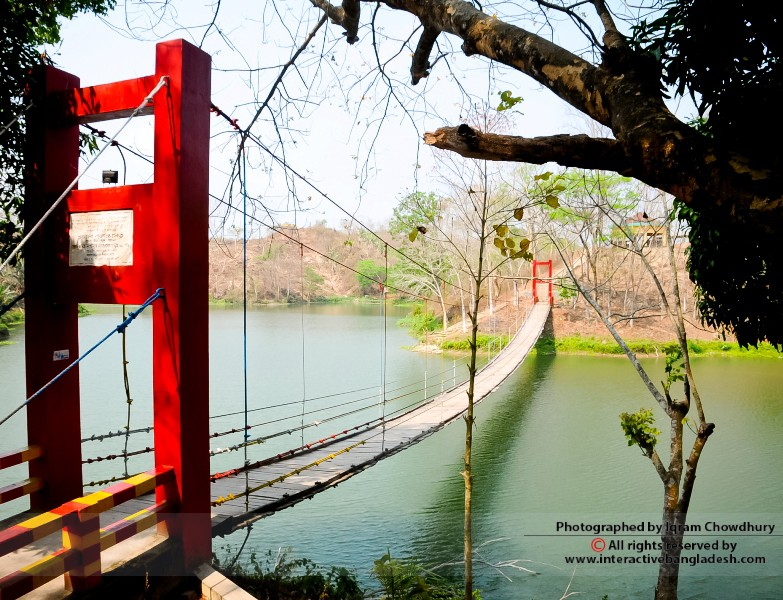 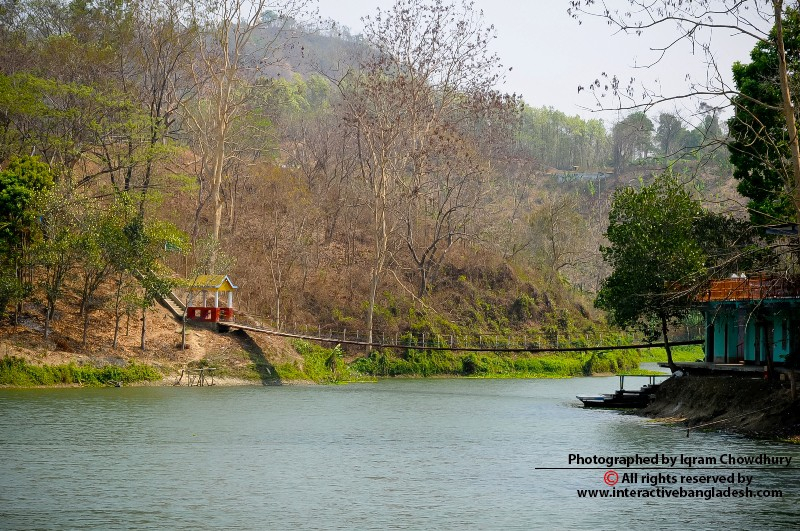 A beautifully placed bridge known as Meghla Hanging Bridge, located 4km from Bandarban bus stand is the most visited tourist spot inside Bandarban City. 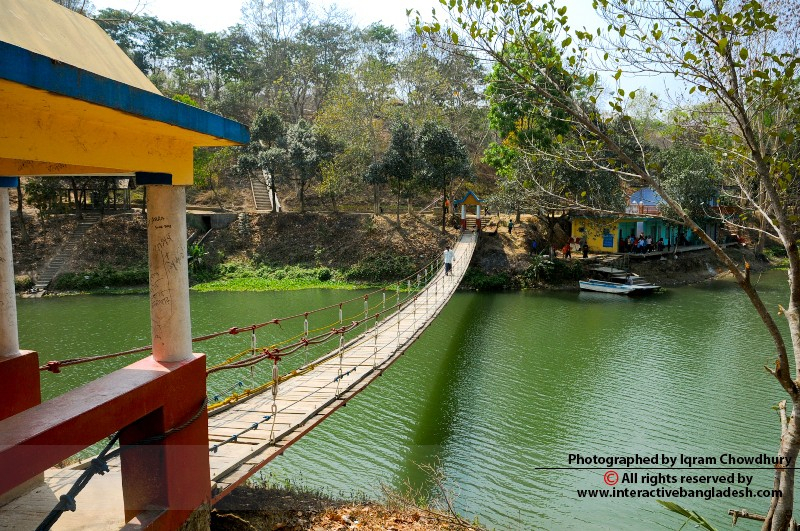 This place is known as Meghla Parjatan Complex which includes a private zoo along with a small magnificent lake. 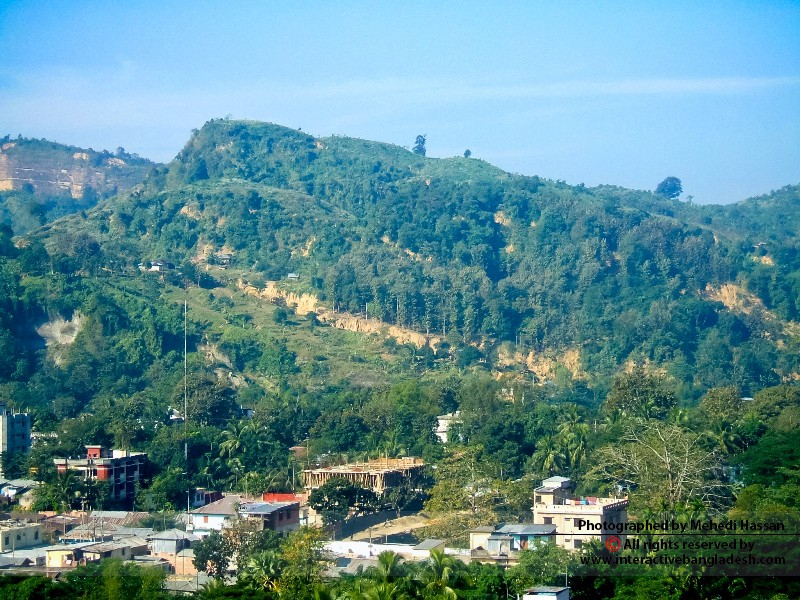 Nilachal, a hilly tourist spot build on a mountain named Nilachal with a bird's eye view of city Bandarban. 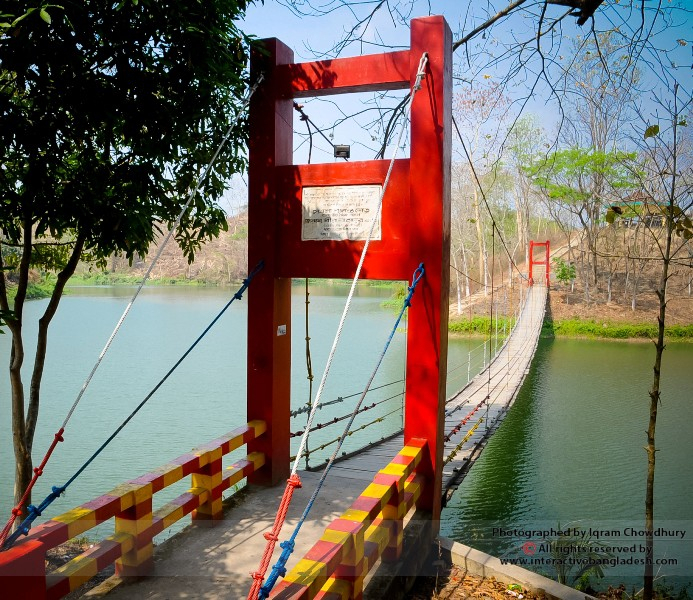 This is the perfect spot to experience the sunset where visitors can get there with a local transport called “Chander Gari”. 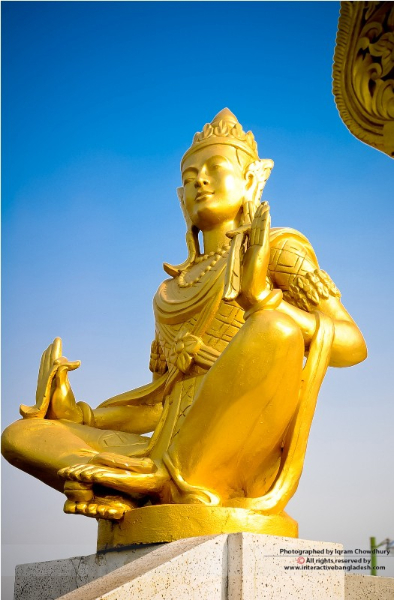 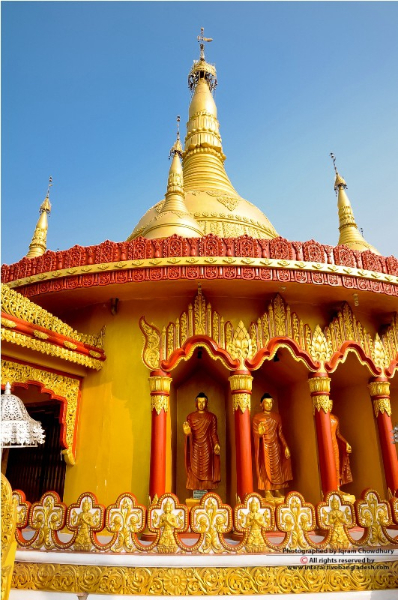 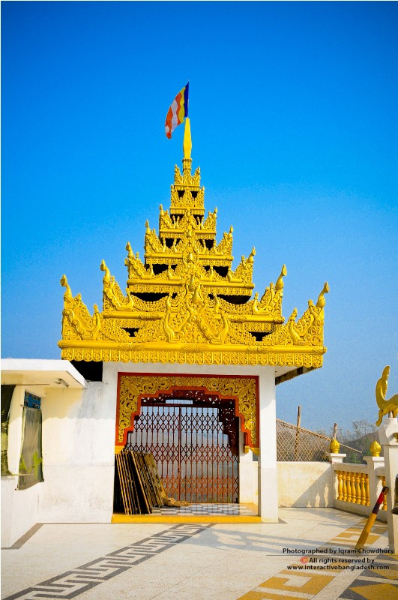 Golden Temple, also known as “The Buddha Dhatu Jadi” is the biggest Theravada Buddhist Temple with the second largest Buddha statue in Bangladesh located in Balaghata town, Bandarban City. 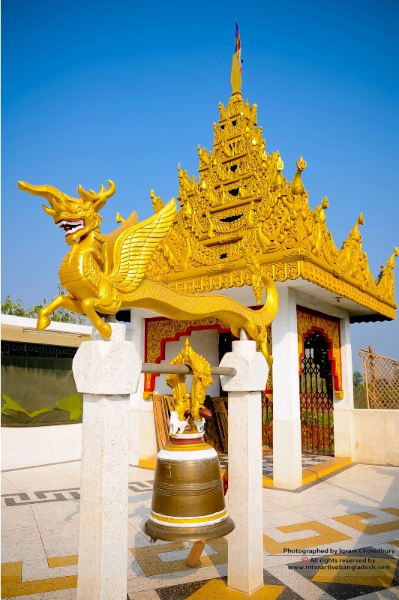 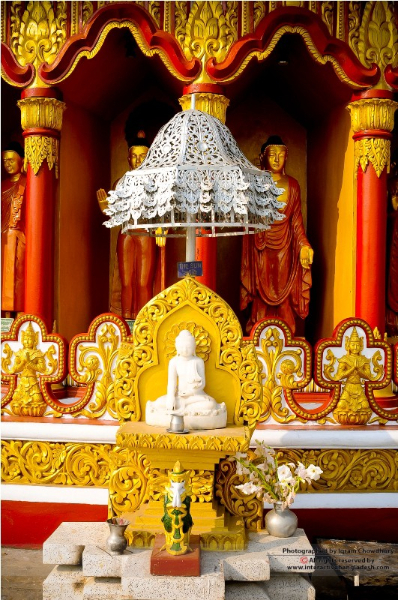 It is believed that the relics of this temple is belong to Buddha where you can pray with the followers, visit the architectural work and learn Buddhism. 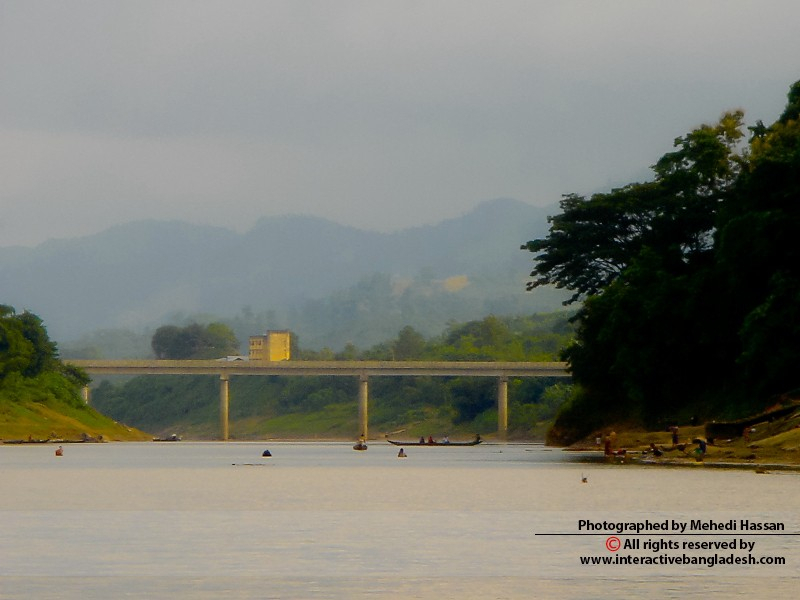 Bandarban city is located on the bank of river Shangu. 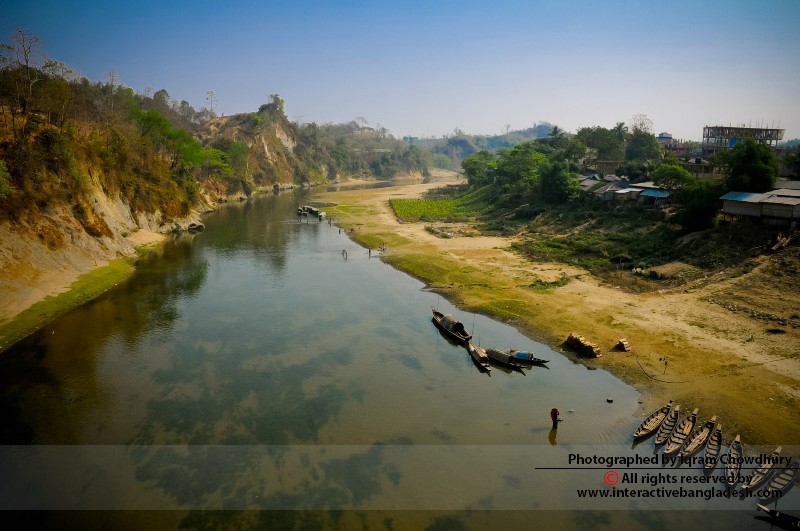 Shangu is the most aggressive rocky river in Bangladesh. 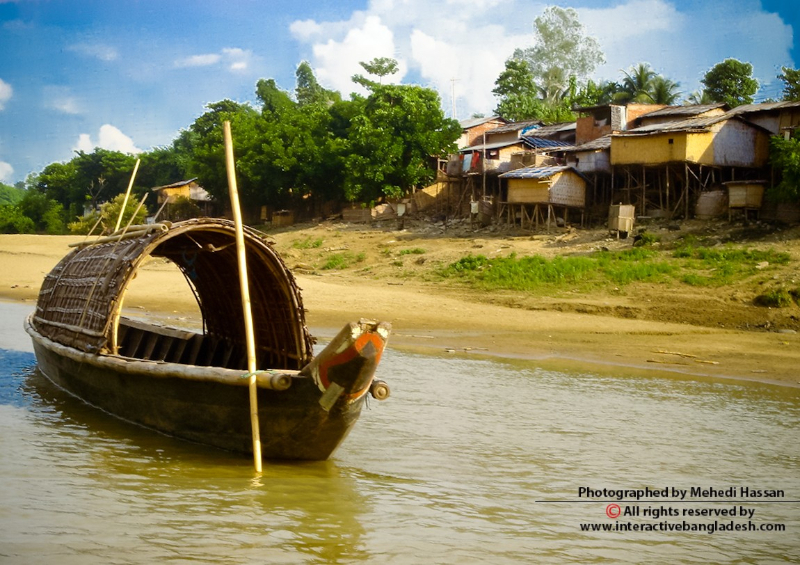 Boat ride in dry season is very enjoyable where rainy season turns this river into a perfect place for boat rafting. 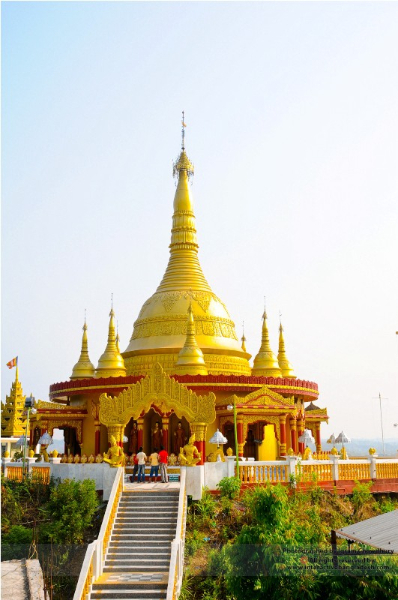 The city Bandarban includes a local tribal bazar, some delicious food restaurants and luxurious hilly cottages.